People who read e-books on tablets like the iPad are realizing that while a book in print or on a black-and-white Kindle is straightforward and immersive, a tablet offers a menu of distractions that can fragment the reading experience, or stop it in its tracks. My (quite old) Kindle loses battery power rapidly if you attempt to use its wireless capabilities and its browser lacks the capability to access webmail or surf the web comfortably. So, you have only one option – use it to read. Fewer options are better is you lack self control. Far sighted readers who easily fall prey to Twemptation should stick with the Kindle over the iPad. Good observation, which leads me to rethink the iPad as a textbook replacement. 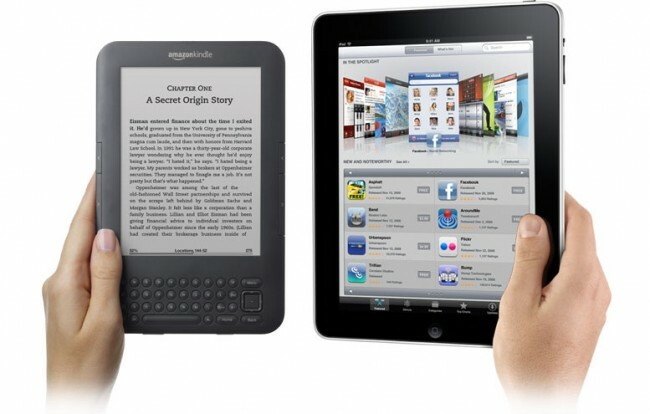 Buy up current model kindles before they up-grade the functionality in future years! Interesting post! Imho, Kindle is an e-book reader, no more no less. And I don’t think tablet computers should be your primary e-reader, unless of course you need multimedia while you read. Btw, check out my site here: cheap kindle covers . Thanks!